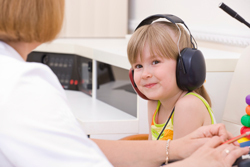 It is commonly accepted that, perhaps with the exception of experiencing some type of acute trauma, hearing loss is a gradual process. And unlike changes in vision, for which people often seek treatment/corrective lenses when they first detect an issue, changes in hearing seem to be addressed with only a gradual urgency, in a manner of speaking. Whatever the reason, it has been estimated that individuals will delay for an average of seven years between the time they first recognize their hearing loss and actually taking any action such as visiting a professional hearing centre. This is quite a disparity, within itself and when contrasted to the urgency customarily associated with vision care. Unfortunately, any extended postponement in seeking treatment for hearing loss will not only affect the individual’s quality of life, but it will have a negative or detrimental effect on their relationships and interactions with family members, friends, co-workers, and the general public as well. When others are constantly being asked to repeat themselves or are confused by seemingly disconnected responses, they can/will draw conclusions based on perceptions or inaccurate information. Clearly, none of the above circumstances or others in the same vein would be welcomed or appreciated by a vast majority of people, whether or not any hearing loss is present. 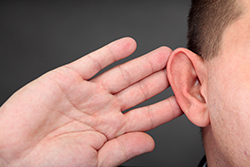 And for those with hearing loss, these types of situations can be minimized or avoided by taking action as soon as they have suspicions or evidence that something may be amiss. The first step in the process would be to schedule a visit to a professional hearing centre, such as Bravo Hearing Centre in Toronto, for a complimentary hearing test. Upon completion of their hearing test, patients will consult with a hearing loss specialist from Bravo Hearing Centre to determine the optimal course of action moving forward. In the majority of cases, this will include a decision on the style of hearing aid that will be best suited for the individual patient. Subsequently, the hearing loss specialist at Bravo Hearing Centre will fit the patient with their chosen make and model of hearing aid; this will be followed by counseling services with respect to the proper use/maintenance of these devices and routine follow-up visits to assess overall comfort and/or make any modifications necessary to ensure optimal performance. For more information on the full range of hearing services provided by the hearing loss specialists at Bravo Hearing Centre, see Our Services page. If you or a family member suspect or have evidence of probable hearing loss, it would be advisable to take action as soon as possible in order to minimize the effect on yourself and those with whom you interact. Call the hearing loss specialists from Bravo Hearing Centre in Toronto today at 416-207-9711 to schedule a free hearing test and to learn more about the value of hearing aids to your everyday activities and your lifestyle.